WASHABLE AND QUICK-DRYING – The PERFECT FITTING (72″ x 24″) sweat towel yoga mats are washable & quick-drying. When dirty, simply throw the skid-proof microfiber towels for Bikram hot yoga in the washing machine, and they become squeaky clean again. 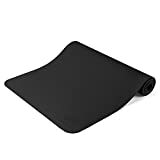 PREMIUM QUALITY MATERIALS – Produced with 100% polyester microfiber, the well-made yoga mats are designed to last & offer you durability and comfort whether you are using it as a yoga rug in the gym, as a camping towel, or as a beach body wrap. 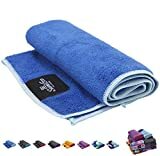 MOISTURE-WICKING SUPER-ABSORBENT FABRIC – The 100% microfiber moisture-wicking Yoga towel mat wicks away perspiration from your body for sweat-free Bikram, hot yoga & Pilate sessions. 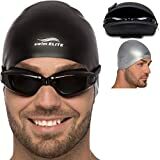 This is your sure ticket to staying dry during physical activity. 100% MONEY BACK GUARANTEE SUMI ECO brand is confident of the quality of their Yoga rugs and mats that we offer a 30-day money back guarantee. If you are not completely satisfied with your Yoga sweat Towel, we will refund your money unconditionally.